The Thread That Binds is a new webcomic from Noel Arthur Heimpel about queer magic bookbinders, found family, and healing. Read Chapter 1 for free here! 27 full-color pages to start the story. Download or read in your browser. Tips are super appreciated! Read Chapter 1 & 2 on Patreon! The Thread That Binds is a fantasy comic about the healing power of connection, particularly in the midst of change and grief. The Thread That Binds updates one chapter every 3-5 months, with each chapter averaging around 40 pages long. Follow along on Patreon for the most news and updates on the comic! Otherwise, please follow me on Twitter or Instagram for more info & notifications. 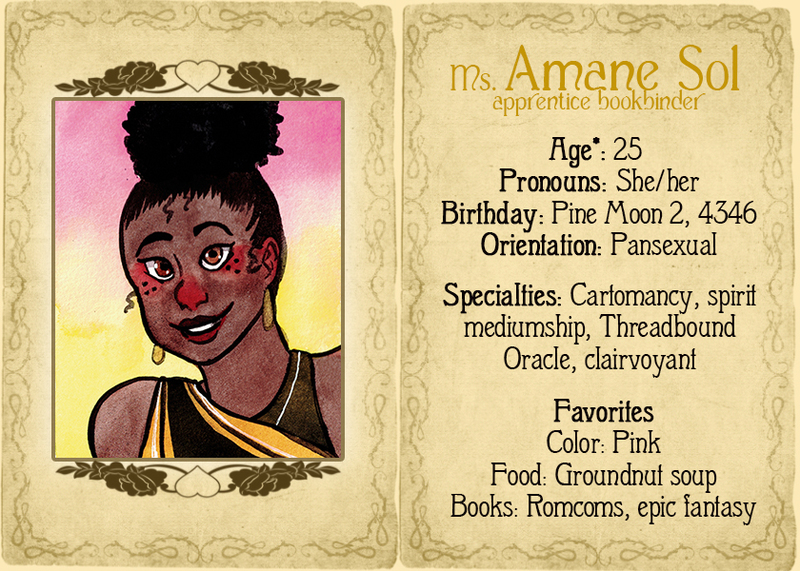 The Thread That Binds will also have a companion project called The Threadbound Oracle, a 50-card Oracle deck designed by me which Amane uses frequently throughout the course of the comic! The real deck will also feature the characters themselves as the subjects of the cards. Click here to see all the cards so far. 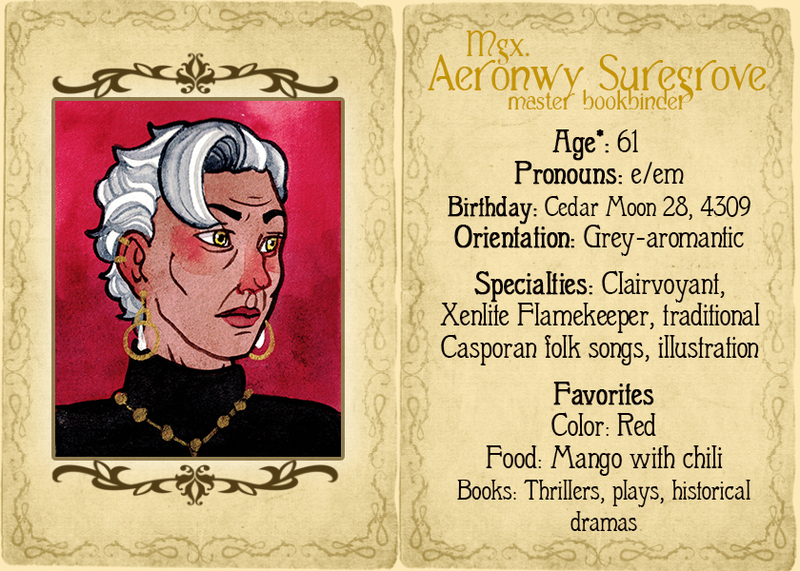 **The culture Mairead was raised in has no concept of gender, and no words for bi/pan/homo/heterosexual/romantic (Amane’s does, hence why her bio says pansexual), so Mairead’s orientation is best described simply as allosexual and alloromantic as it seems inappropriate to apply any of those words. Allo = not ace or aro.